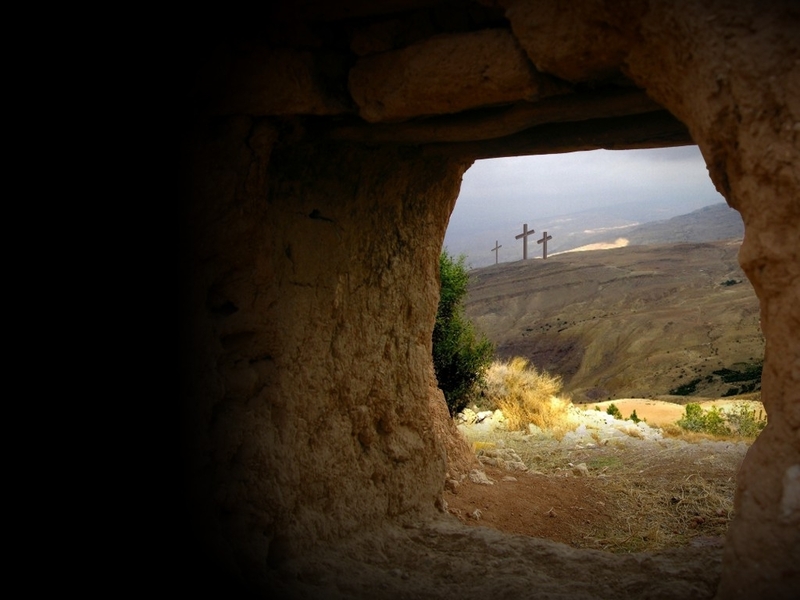 The most verifiable fact in human history is the empty tomb of Christ. Only an ignorant fool can look upon the evidence and deny the reality. Many world religions are built around a founder that is dead and buried in some grave. Al-Masjid al-Nabawī, the Mosque of the Prophet, in Medina, holds the remains of Islam’s founder, Mohammad. Buddha died and was cremated and his remains divided up amongst several Buddhist temples. Adherents of these religions can point to the remains of their founders and say, “he is there” or “there he lies.” These places have become holy shrines were the faithful worship. But Christians can only point to an empty tomb, for our Savior is risen indeed! Cynics have tried in vain to debunk the claim. Some claim that Jesus really did not die, but that He “swooned” because of the physical abuse and blood loss, but in the coolness of the tomb He revived and came out of the grave. How ridiculous! Even if it were true that He did not really die, how could He have moved the stone weighing several thousand pounds and then had enough strength to overcome the 16 Roman soldiers guarding the tomb? And how could the Roman execution squad have mistaken His “swoon” as death? These men were expert in executing slow and painful deaths – they knew when a victim died! Then there are those who claim the disciples stole Jesus’ body and faked His resurrection. Yes! These cowards that abandoned Jesus at the time of His arrest and then went and hid for fear of their lives! Yes these “tough guys” had the courage to go up against 16 trained Roman soldiers, over power them and rob the grave. That is highly doubtful! But that was what the soldiers were paid to say (Matthew 28:13). If Jesus had not risen from the grave, all the religious leaders would need to have done is produce the body. They could have taken His body and paraded it around all over Jerusalem to once and for all silence the claim that he had risen. Jesus was witnessed alive not only by His disciples, but by over 500 people (1 Corinthians 15:5-8). It is unlikely, actually it is next to impossible, for someone to be willing to die for a hoax, but these early Christians were ready to deny their old religious beliefs to follow the resurrected Christ, and were willing to give their lives for that belief. Jesus is risen. He is risen indeed! He is alive and He offers life eternal to anyone who will believe. He is the only way, the only truth and the only life. And no one can come to the Father except through Him (John 14:6). To have this eternal life, all one needs do is repent, trust and believe: (John 1:12; 3:16-18, 36; 5:24; 6:40,47; Romans 10:9-10) Happy Resurrection Day! Recently there has been a big uproar in the conservative media about the “war on Easter.” Bill O’Reilly, who believes the Bible is allegorical, “lambasted President Obama and the White House for empowering ‘secular progressives’ to pressure school districts around the country to decide not to use terms like ‘Easter bunny’ and ‘Easter egg’” (from MediaMatters). My question is, what do the “Easter bunny” and “Easter eggs” have to do with Easter anyway? The bunny and eggs are pagan fertility symbols that were used to celebrate the vernal equinox and the beginning of new life – not in a spiritual sense, but simply the time when trees bud, green returns to plant life, the time for planting of new crops, etc. Even the name “Easter” is a derivative of the fertility goddess Ishtar (Babylonian), Astarte (Phoenician), or Ashtoreth (Canaanite). So, the White House wants to stop Easter egg hunts or remove these symbols from public schools – so what! Christians should not be offended by this. More offensive is the expulsion of God and His Word from the public schools. That boat has sailed never to return to port again. The outcry and outrage should have been sounded four decades ago, and now we are whining about the Easter bunny and Easter eggs! As we enter this Holy Week, Christians should reject paganism in all its forms. “Abstain from all appearance of evil” (1 Thessalonians 5:22). Aw, what’s the harm in taking the kids out for an Easter egg hunt? Well, what does that teach them about Christ’s death on the cross, His three days in the tomb and His victorious resurrection? Instead of “Easter Sunday,” why not start calling it “Resurrection Sunday”? 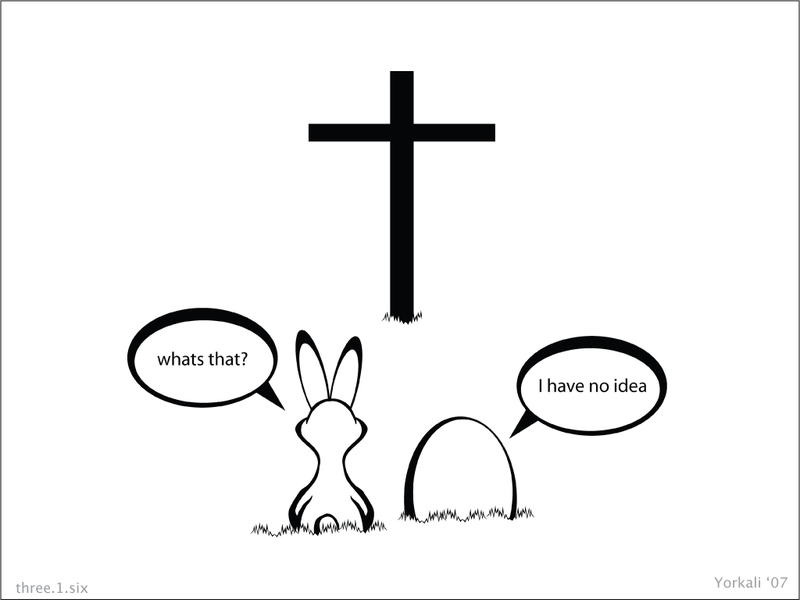 Instead of Easter eggs and Easter bunnies, why not celebrate what Christ has done to save us? Now, that really is a big deal! On Sunday morning, Jesus rode into Jerusalem on a donkey’s colt (Matthew 21:1-9; Mark 11:1-10; Luke 19:29-38; John 12:12-15). That in itself is miraculous! Matthew, citing Zechariah 9:9, says that the donkey was a “foal” – really too young yet to bear a heavy burden – and yet this little donkey carried our Lord without complaint. Zechariah had prophesied this presentation of the King of kings, and within a few short days the King would be rejected and crucified as a common criminal. But then came Sunday! And soon, He will return as a conquering king, riding upon a white steed (Revelation 19:11-16) – no longer a Lamb to be slaughtered, but a Lion to conquer His enemies and rule with a “rod of iron” (Psalm 2:9; Revelation 2:27; 12:5; 19:15). So, kill the Easter bunny. It is of absolutely no value. We have a greater truth to defend and a greater message of hope to share! There are many Christians Evangelicals that are hoping for the rapture in order to escape the coming Tribulation. Those hopes may be based on false assumptions. This great article explains what I have come to believe over many years of study on the subject. Recently a well-known pastor was interviewed by a well-known news commentator concerning the History Channel’s mini-series entitled the The Bible. The commentator, who claims to be a Christian, began his interview with the presupposition that the Bible is all allegorical. His first question betrayed his bias: “Adam and Eve: Did they literally live in the Garden of Eden and usurp the evolutionary process?” The exchange continued on a pretty even keel from then on with the pastor responding to the commentator’s every incredulous questions. Finally the commentator challenged the compatibility of the Bible with science. The pastor responded with, “I think you’re wrong on this one. The Bible does not contradict true science. It may contradict passing fads of scientific theory that are always evolving.” The pastor could have been more straightforward with the commentator and plainly said, “No, you are wrong on this one,” and gone on to make his case. The truth that pastor made clear was that the opinions of science are always changing with every new discovery, but God and His Word never changes, so, it is either always fully reliable, or it us wholly unreliable. It is either all true or not true at all. So the pastor continued to make his point: “For example, it used to be thought that the cosmos always existed. But then we had Sir Fred Hoyle, who named the named the Big Bang Theory, that said, ‘Guess what, the universe had a beginning 13.7 billion years ago.’” At this point the pastor had not yet fully capitulated. He was simply pointing out that scientific theories are fickle, but what he unwittingly did was give credence to the unproved “scientific” Big Bang Theory. This was reflected in the commentator’s subsequent question: “Do you believe that the universe started 13.7 billion years ago?” Now the pastor was in a tight spot. He had already opened the door to the possibility of the Big Bang, so now he had to wiggle out of it the best way he could. He responded, “I think it very well could have. One of the things fundamentalist Christians mess up on is they try to say the earth is 6000 years old. The Bible never makes that claim anywhere.” So now, before a national audience, he made the theories of man superior to the Bible, he threw fundamentalist Christians “under the bus,” and he made a false (or at least uniformed) claim about the Bible. Of course the Bible makes no claim about the age of the earth! However, when one makes a careful study of the genealogies in the book of Genesis, one can easily determine that the time from Adam to Noah was about 1600 years. Some who doubt the veracity of Scripture will attempt to interject “gaps” in the genealogies so that the time span could be much greater, but this is unfounded when one takes Scripture for what is plainly stated. Others attempt to introduce long ages, billions of years even, between the first two verses of Genesis, but this, again, is unfounded. Or else they will attempt to make the “days” of creation be long ages, and this too has no basis in truth especially when a “day” (Hebrew: yom) is clearly defined as “evening and morning” – clearly a 24-hour day. So with a little bit of study and the use of some very simple mathematics, we can conclude, according to Scripture, that the earth is approximately 6000 years old. By yielding on this point, the pastor lost credibility for himself and for the Bible, and ultimately he lost the debate. The commentator reaffirmed his assertion that the Bible was all allegory and given that the pastor had basically conceded on the Genesis record there was really nothing more the pastor could say to convince him otherwise. 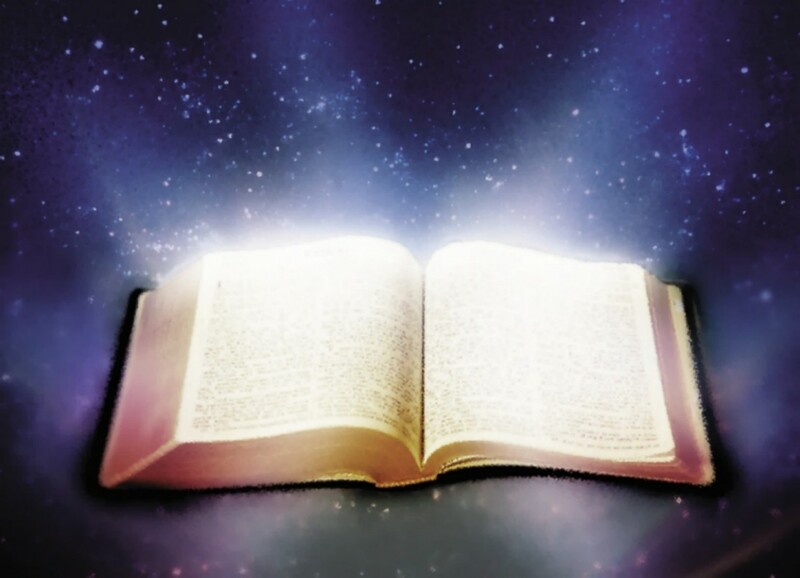 Anyone who truly believes that “All scripture is given by inspiration of God” (2 Timothy 3:16) and that “Heaven and earth shall pass away, but [God’s] words shall not pass away” (Matthew 24:35) cannot afford to compromise on Scripture even in the tiniest point. Jesus said, “For verily I say unto you, Till heaven and earth pass, one jot or one tittle shall in no wise pass from the law, till all be fulfilled” (Matthew 5:18). If this is so, then all of Scripture is true and accurate, and according to the biblical record, the earth is about 6000 years old. The atheists/evolutionists do not yield in the least on their contrived Big Bang Theory, so why should Christians compromise on the truth of Scripture? As Bible-believing Christians, there should never be room for compromise on Scripture. When Adam and Eve sinned in the garden, God took it upon Himself to slay at least two animals to cover their nakedness (Genesis 3:21). This served as an example of the sacrifice of innocent blood for the covering or “atonement” for sin. “And almost all things are by the law purged with blood; and without shedding of blood is no remission” (Hebrews 9:22). Apparently, the first family continued to offer animal sacrifices as instructed by God and as demonstrated by Abel’s offering. “And Abel, he also brought of the firstlings of his flock and of the fat thereof. And the LORD had respect unto Abel and to his offering” (v. 4). Cain, however, had his own idea about what to offer the Lord. “Cain brought of the fruit of the ground an offering unto the LORD” (v. 3). Perhaps he rationalized that his offering was worthy because, after all, it had cost him a lot of sweat and back-breaking labor. But this was not what the Lord required. “But unto Cain and to his offering [the LORD] had not respect. And Cain was very wroth, and his countenance fell” (v. 5). 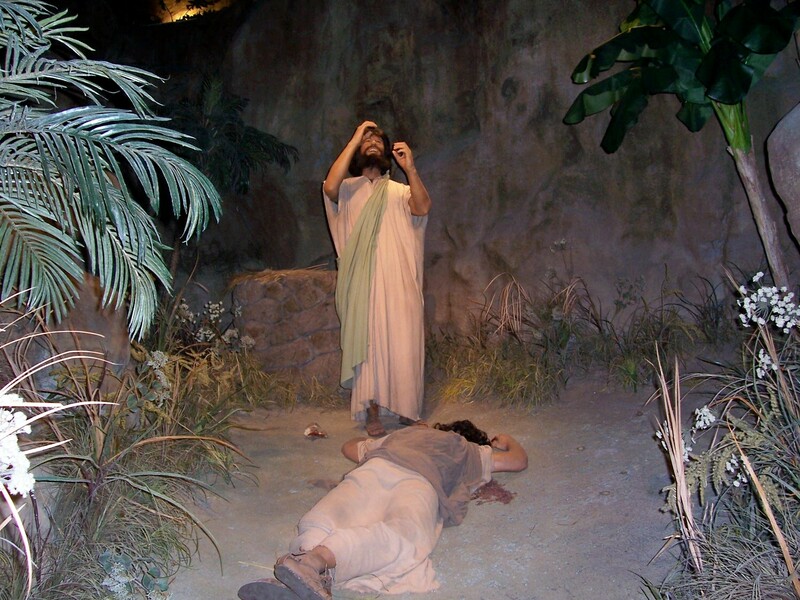 Cain’s error was not unlike that of modern religions that attempt to please God by their own schemes and ignore the simple Gospel; “Knowing that a man is not justified by the works of the law, but by the faith of Jesus Christ, even we have believed in Jesus Christ, that we might be justified by the faith of Christ, and not by the works of the law: for by the works of the law shall no flesh be justified” (Galatians 2:16). Still they persist in inventing their own rules. “Cain was very wroth, and his countenance fell” (v. 5) when he saw that his offering was unacceptable to God. In his anger, he lashed out at the representation of God’s righteousness, and he murdered his brother. Thus, Abel was martyred for his faith and his righteous acts. In nearly 6000 years, little has changed in that regard. Jesus warned, “And ye shall be hated of all men for my name’s sake: but he that endureth to the end shall be saved” (Matthew 10:22). That ye may approve things that are excellent; that ye may be sincere and without offence til the day of Christ. The world offers us a multiplicity of distractions to keep our focus off of what should be our first priority – “the kingdom of God, and his righteousness” (Matthew 6:33). In his salutation to the church at Philippi, Paul encourages the believers, and us, that our “love may abound yet more and more in knowledge and in all judgment” (v. 9). “Knowledge” here is the Greek compound word epígnosis: epí means “on” or “over” or “on the basis of;” gnosis means “wisdom.” In other words, “wisdom” or “knowledge” that is from above. So, based on godly wisdom, we are to make all judgment. “Judgment” is the Greek noun aisthesis which means “insight, perception” or “discernment.” We are urged on the basis of godly wisdom to exercise discernment in approving, better yet “testing,” those things in our lives that are “excellent,” i.e., worthy of keeping. The reason for this is that we may be sincere and without offence. “Sincere” translates the Greek compound word eilikrinés: heile, the sun’s rays; and krinés (from krínoo) meaning to judge. Together, it means to judge by the sun. This might make a little more sense when we consider that our word “sincere” comes from the compound Latin word sincera: sine (without) and cera (wax). It has been suggested that the origin of the word stems from artisans using wax to cover imperfections in their work. The unsuspecting buyer would then take the merchandise home only to have the sun reveal its imperfections. This, no doubt, would seriously offend the buyer. In the same way, we are to judge our own lives on the basis of wisdom and discernment so that our witness will be “without wax” that would offend the one who receives our message. This we need do on a daily basis knowing that “the day of Christ” is at hand.